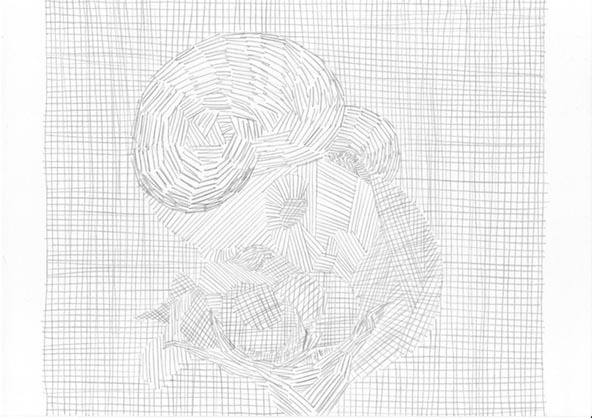 Between 2009 and 2010 Leen Voet realized 774 drawings based on the oeuvre of the painter Felix De Boeck (1898-1995). The complete series, originally drawn with pencil on A4 paper, is reproduced in the book called Felix. It is investigated as to how much the original work can be “neutralized” through copying, and how much the copies are “neutralized” by the original work. dépendance, Bruxelles. 04.04.2012 > 12.04.2012. Book: edition of 500 copies, published by Grotto & Grafische cel.